The great historian G.M. Trevelyan famously described his home county of Northumberland as “the land of far horizons”. 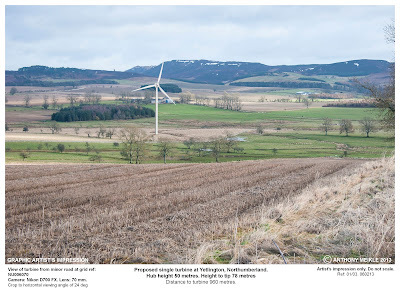 Today we rely on altogether more prosaic “Landscape Character Assessments” to determine just how many gigantic wind turbines may be shoehorned into any particular patch of cherished countryside. The application has attracted 107 letters of objection and precisely none of support, which is some achievement given that it is never hard to round up a few useful idiots prepared to assert that any “green energy” development is a fantastic idea, whether on the grounds of “saving the planet” or “creating local jobs” (both, of course, equally untrue). It is also opposed by four parish councils, Northumberland National Park and the Campaign to Protect Rural England, on a variety of grounds including visual impact, road safety, the effect on tourism and the potential for setting an unfortunate precedent. Yet all these petty local concerns are magisterially set aside by Senior Planning Officer Joe Nugent, relying on advice from the county council’s experts on highways, conservation, ecology and public protection that those who actually live in and love the area do not know what they are talking about. The mindset of council planners has long been completely beyond me. A neighbour is told that he cannot replace the jerry-built extension to his listed house with a sound one of identical size and appearance because it would be “too big”. Yet ask to whack up a giant industrial turbine, with all its supporting impedimenta, in the middle of glorious, unspoilt countryside, and it apparently presents no problem at all. The planner devotes five paragraphs to explaining why the National Park, who might be expected to know a thing or two about protecting fine landscapes, have got it completely wrong. While the tourism argument is dismissed on the grounds that few actually come to admire a field on Follions Farm, and are unlikely to be deterred from visiting Cragside or Wallington. 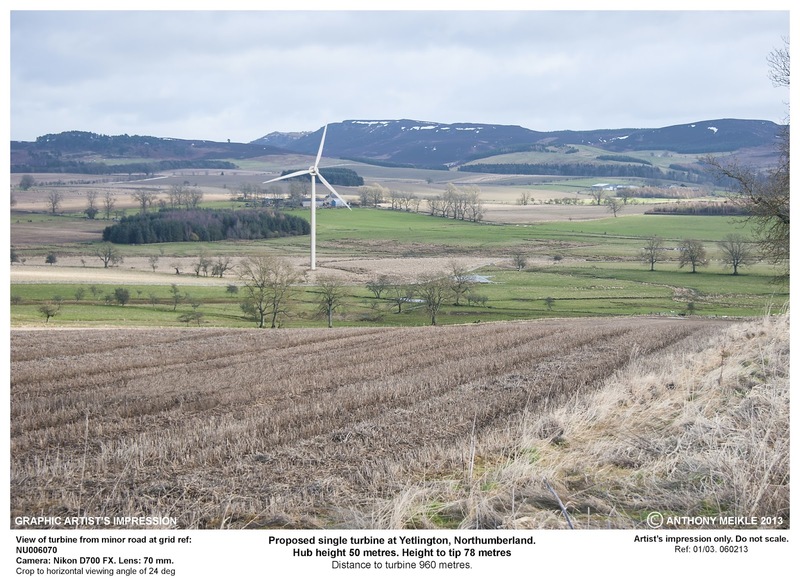 As for that concern about precedents, once the landscape has been degraded by one turbine, it should surely come as no surprise to find that the local Renewable Energy Plan has already concluded that the area could accommodate up to 12 of the things without anyone noticing at all. A telling column on these pages recently observed that Northumberland County Council’s planners seem to regard themselves as cheerleaders for the speculative wind farm industry, helping to push their proposals through in the teeth of opposition from ill-informed yokels like me. I write “telling” chiefly because I do not recall anyone from County Hall writing in to deny the charge. We pay the wages of the council’s “experts”, yet they show no inclination to acknowledge the overwhelming strength of local opposition to such wind turbine developments. Nor, on the evidence of his deafening silence of late, does our elected county councillor. Northumberland is still the most beautiful place I know, but the more the rash of wind farms spreads, the less this will be true. True to form, an application that was quietly slipped in on Christmas Eve 2012 comes up to have the officer’s recommendation of approval rubber-stamped by the council’s planning committee next Tuesday, August 6, when so many of those with an interest in the subject may again be expected to be on holiday. I hope for a lively debate between the tunnel-visioned “green energy” profiteers and those who have minds clear enough to appreciate the true preciousness of those far horizons.